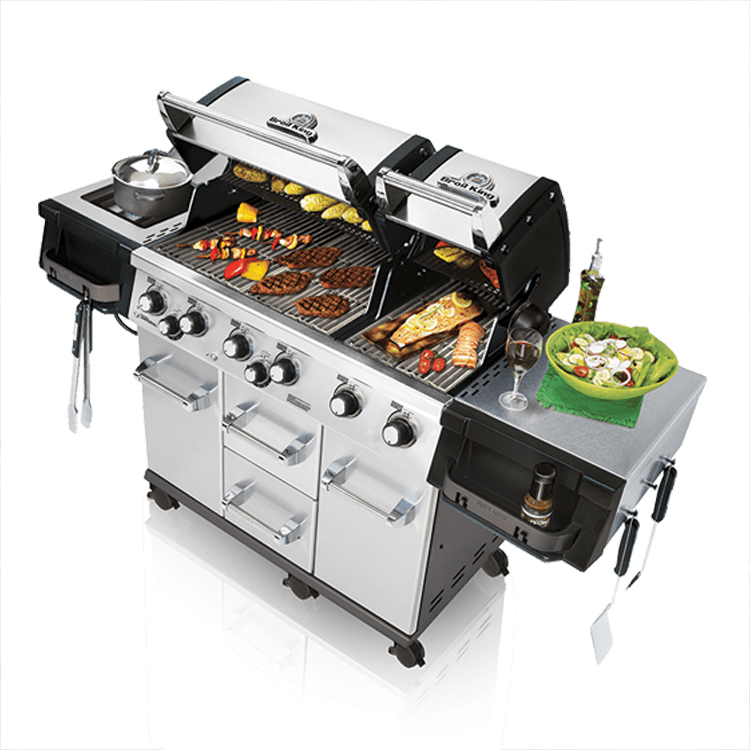 Every Broil King gas grill is built to provide unparalleled grilling versatility. No matter what model you choose, the legendary Broil King cooking system gives you the ability to grill almost anything on your barbecue in any style you desire. Every part of the cooking system is designed and engineered for a specific purpose. When combined, the results are simply spectacular. Take great barbecue flavour with you whenever ever you go. These portable grills offer a remarkable amount of grilling space allowing you to cook delicious meals at the park, while camping or after the big game. With a stylish, distinct look and carefully sculpted curves, the Broil King line of gas grills will complement any outdoor environment. You can sear steaks to perfection, rotisserie cook poultry or roasts, and even bake elaborate desserts. Every part of the cooking system is designed and engineered for a specific purpose. When combined, the results are simply spectacular. From durable construction and stylish accents to exceptional cooking versatility, the Broil King line of charcoal grills and smokers brings people together. Great food, great flavor, great barbecues every time.